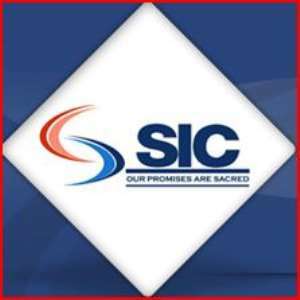 Time To Say Kudos To SIC's C-Suite For Fighting An Attempted Kweku-Ananse-Cash-Grab By Ivory Finance? How refreshing it is to hear that the Supreme Court has ordered SIC and Ivory Finance to return to the High Court to continue with the matter in which SIC is alleging fraud in a judgement obtained by Ivory Finance against it. It really is fantastic news indeed. The headline of the Business & Financial Times February 22, 2018 edition reporting the outcome of the case reads: "Supreme Court refers SIC and Ivory Finance back to High Court". The Supreme Court's judgement is a classic example of the Akan adage: "Onyame enti se alata ni enti..."
As it happens, one always wondered how it was possible for a private-sector financial services sector company that a wag I know once described as, "A business with an unethical governance culture" to have the gall to "dream of collapsing SIC" - when the said orivate-sector entity never gave Ital Construct's management the opportunity to consult their lawyers before inveigling it's rep to sign on the dotted line to take that sodden loan that is the subject of contention before the law courts, from them. The question then is: Is it beyond the realms of possibility that - as some allege privately because the matter is still sub judice - Ivory Finance embarked on this journey, purely and simply because those running it thought they could collude with a state-owned enterprise's (SOE) management to "collapse SIC", by stealth, through the backdoor, by an attempted egregious-manipulation of the justice system? Well, clearly, those (to also quote a bush telegraph source) "too-clever-by-half rogues at Ivory Finance" reckoned without taking into account the fact that Ghana's Supreme Court is actually manned by some of the world's most honest and fearless judges. Finally, above all, one wonders whether the time has not now come to say kudos to the patriotic legal team in the C-suite at the SIC, who stood firm over the years, and valiantly fought this outrageous attempted Kweku-Ananse-cash-grab from the vaults of a profitable and well-run SOE providing regular dividend payments to governnents of the day. Hmmm, Oman Ghana - eyeasem o: asem kesie ebeba debi ankasa!